"Over, under, around or through find a way, or make a way" is a quote by Paula Kluth that recently reminded me of how I found ways to include all my students in a classroom activity, regardless of their ability level. 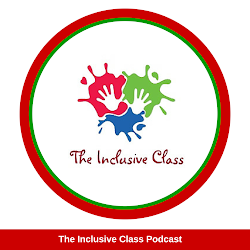 While I am speaking with Dr. Cheryl M. Jorgensen about this topic on an upcoming podcast, I wanted to share one of the most successful ways that I used as a classroom teacher to facilitate inclusion. In order to have students aquire the same learning experiences, teachers have to be prepared for the differences in their student's abilities and learning styles. This technique is known as "differentiation". Differentiation can be created by making changes. 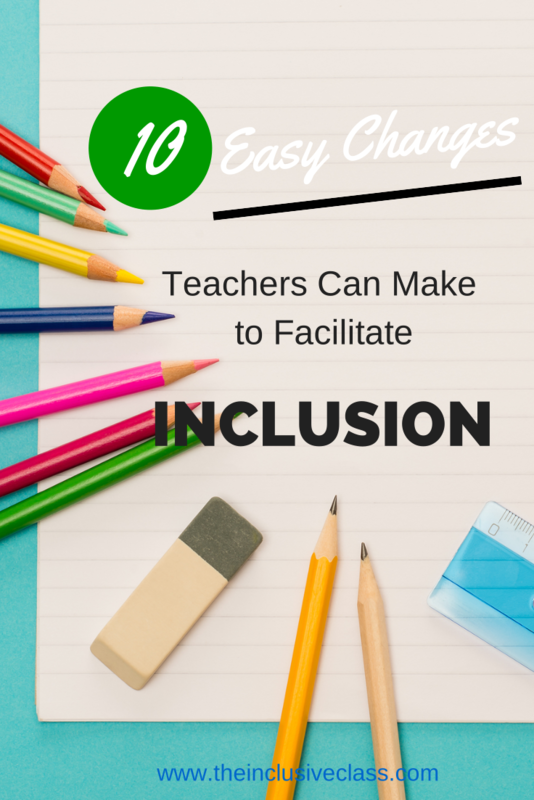 Changes can take place in many ways in the classroom, depending on the student's needs, teacher's level of knowledge and support of school personnel. 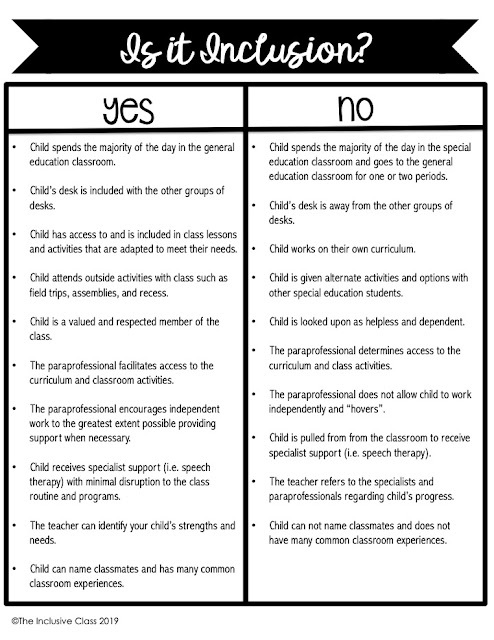 Big or little, however, change can make a difference in how students with special needs are included in the classroom. r Time - change the time of day the activity is planned for, the duration of activity, the time of week or even the month. r Space - change the physical seating arrangement in the class, change the environment (turn off the lights, shut the door or open the windows), change the workspace or even the room (go to the library or sit outside). r Method – change how the lesson is delivered. Use charts, music, books, props, video or posters. Stand at the front of the class, the back of the class. Have the students remain sitting at their desks, on their desks or sit at a carpeted area. 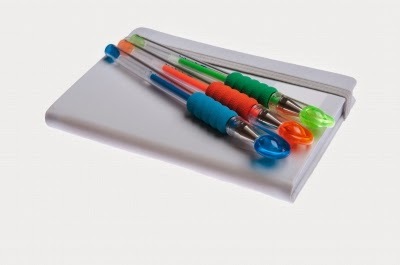 r Materials – have students produce their work using crayons, markers, paint, modeling clay, computer software, cameras, popsicle sticks, or cheerios. r Product – change the assignment from writing to drawing, art, music, or drama. Have students create a poster, diorama or power point presentation. r Quantity – change the number of questions, length of assignment, amount of homework, or ask for odd-numbered answers only. r Groupings – change how the students are grouped for the lesson. Will they work in pairs, small groups or be independent? Will the student work with a teacher, a paraprofessional or other support personnel? 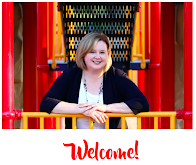 r Grade – change the grade-level expectations of the activity. Go down a grade or up a grade depending on the student’s ability. r Teacher – yes, change the teacher! Ask the Special Ed teacher to deliver the lesson, a co-teacher, the principal, a parent, or another student. r Resources – change the resources you use for class activities. Look for new textbooks, web sites, on-line teaching communities and experts. One small, new idea can lead to something big! Follow us by email to get all our updates! Also, you can check out more resources by following us on Facebook and Twitter! These are awesome suggestions! I love the idea of changing the teacher. Sometimes a different person facilitating is all that is needed. Thanks, Tim! I think most people get tired of listening to the same person day in and day out! !